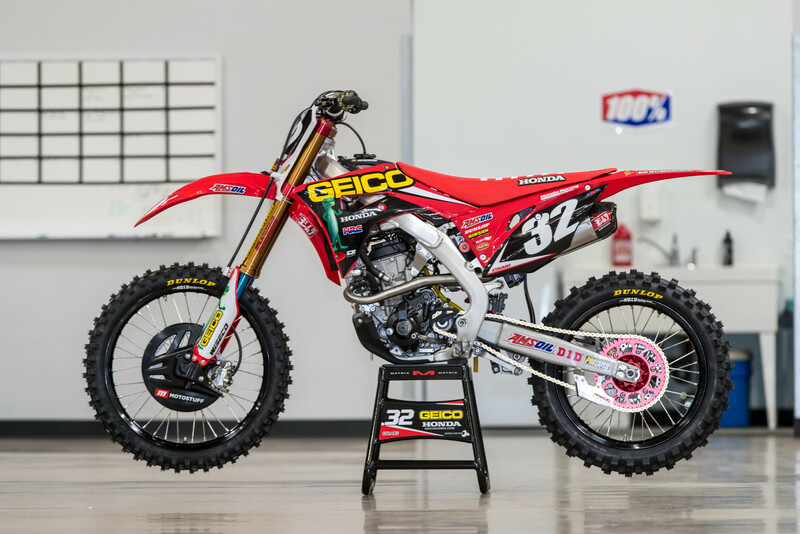 Take a look at the all-new 2018 Honda CRF250R in GEICO race trim. We stopped by the GEICO Honda race shop today as they were setup and deep into their 2018 team photoshoot. 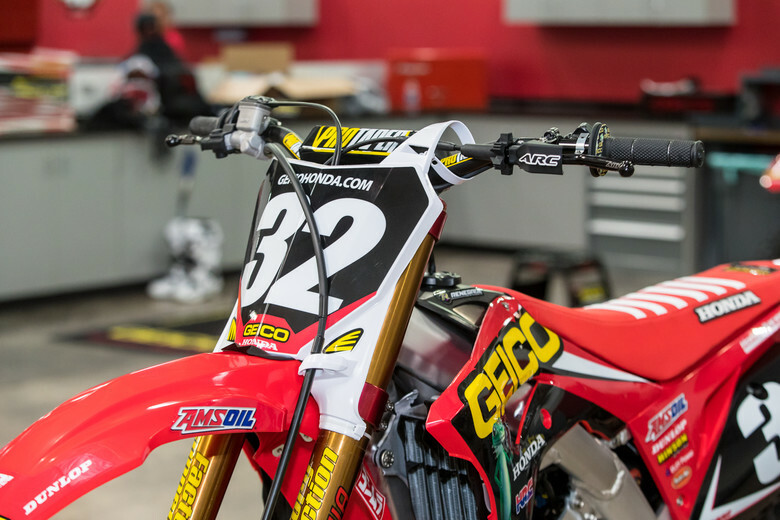 After things wrapped up a bit, Christian Craig's wrench Derik Dwyer let us snag his 2018 Honda CRF250R for a little camera time. But at the same time we need to force riders to move up [based on points or maybe like the MXGPs age.] Davalosis moving back down from the Husky 450 to a Pro Circuit 250 Kawi? 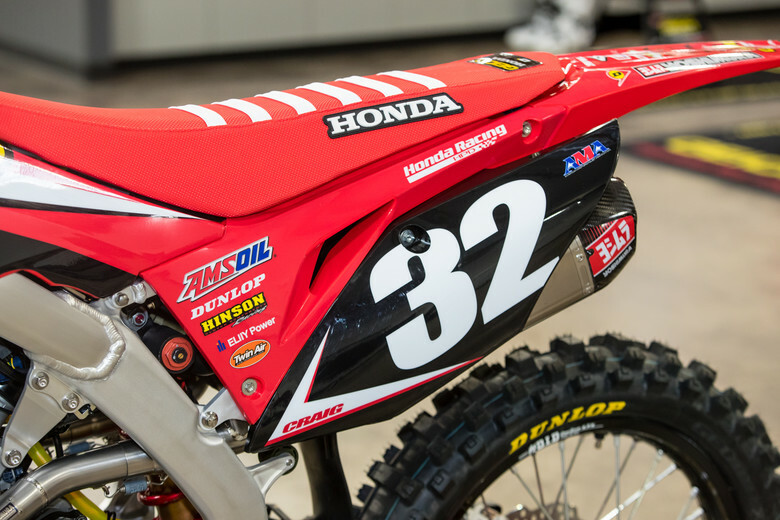 He's on a 250 for 2018...but will move up to a 450 in '19. Man, certainly they’ll be able to exceed the power numbers of that previous, single cam head. At least I would think so, unless they were using a factory head with finger followers built in, like the new 450 has. Not entirely sure on AMA’s rules for valve train parts. Either way, I am stoked as hell to see this factory version in action! That head would've been illegal. It's just simple time and development. The team had nine years on the old engine platform and only a bit over two months on the new one...they're making gains ever day. Yup, it should rip. Thanks for the reply ML. Looking forward to seeing these at A1! Bike I saw was a full size bike. Michael confirmed they were testing with WP at one point. 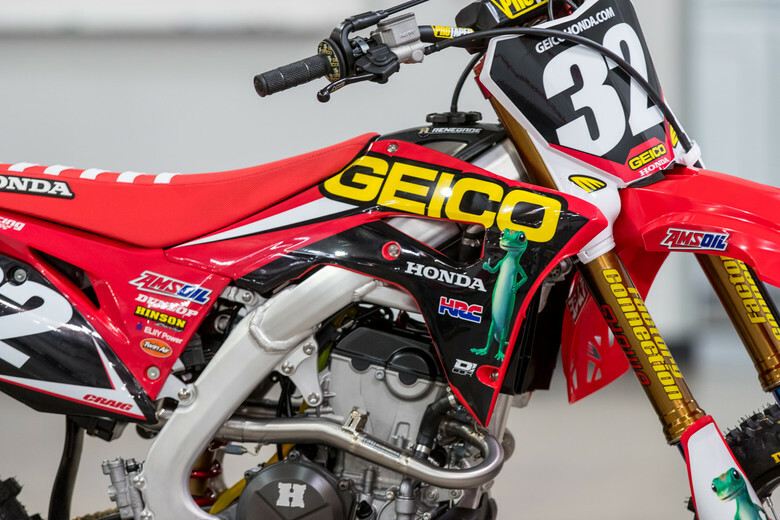 The little Geico mascot on the shrouds needs to go on my opinion. I could've sworn one of the guys was going to be on WP stuff. Pretty sure I saw a pic somewhere of a FC Honda with WP suspension. Should've of saved it. It's been tested...but it looks like they're going to opt for two riders on Showa and three on KYB for 2018.